News | ASHTROM Group LTD.
27 March, 2019 The gross profit of the Ashtrom Group over the period of the report increased by about 21% compared to the corresponding period last year, amounting to approx. NIS 727 million. The operating profit over the period of the report came to some NIS 612 million, roughly 27% higher than the corresponding period in 2017. Over the period of the report the Ashtrom Group increased the net profit attributable to shareholders by about 33% compared to the corresponding period last year, reaching some NIS 312 million. As of the date of publication of the financial reports the Group’s work backlog amounted to around NIS 8.05 billion, an increase of about 12% compared to the backlog of approx. NIS 7.2 billion at the end of 2017. 30 November, 2018 The gross profit of the Ashtrom Group over the period of the report increased by about 30% compared to the corresponding period last year, amounting to approx. NIS 520 million. The operating profit over the period of the report came to some NIS 394 million, roughly 26% higher than the corresponding period in 2017. Over the period of the report the Ashtrom group increased the net profit attributable to shareholders by about 33% compared to the corresponding period last year, reaching some NIS 195 million. As of the date of publication of the financial reports the Group’s backlog of works amounted to around NIS 8.21 billion, an increase of about 14% compared to the backlog of approx. NIS 7.2 billion at the end of 2017. 30 August, 2018 The Ashtrom Group's incomes increased by around 14% in the second quarter of 2018 compared to the corresponding period last year, amounting to some 948 million shekels. The gross profit came to about 179 million shekels, approx. 47% higher than the same quarter last year. The bottom line is that the Ashtrom Group doubled its net profit in the second quarter of 2018 to around 90 million shekels, compared to a net profit in the region of 43 million shekels in the second quarter of 2017. As of the publication date of the financial reports the group's work backlog comes to approx. 8.4 billion shekels, a growth of some 17% compared to the backlog of 7.2 billion shekels at the end of 2017. 20 August, 2017 The Ashtrom Group has won a tender as part of the Apartment for Rent initiative to design, construct and operate a residential project in the Little Hadassah complex located in Kiryat Yovel Quarter, Jerusalem. The project will comprise 4 buildings containing a total of 584 residential units, 438 of which are intended for long-term leasing and 146 for immediate sale; also incorporated in the project is a 5,000 sq. m. area for commerce, parking basements and green spaces. 9 July, 2017 Ashtrom has been selected as the construction contractor for the project, which includes residential, commercial and office areas totalling some 96,000 sq. m., located at the corner of Da Vinci St. and Kaplan St. in Tel Aviv. The project will contain 375 apartments in two residential tower blocks, each rising to 42 storeys, in addition to two office blocks and commercial space. 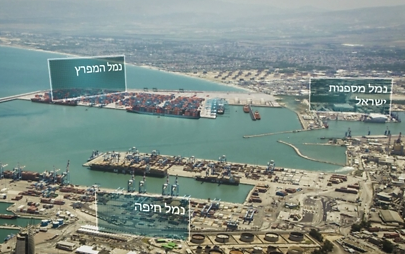 The project is valued at about 700 million shekels. The apartments will be let for a 20-year period, 25% of them to tenants entitled to reduced rent subsidised by the Ministry of Construction and Housing. At the end of the 20-year period the company will be allowed to sell the properties on the open market. 26 July, 2016 Ashtrom is to carry out an approx. 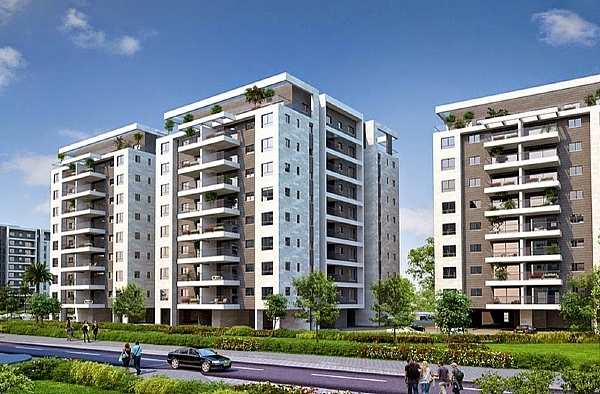 200 million dollar construction project in Zambia, entailing the design and erection of residential units and public buildings with an overall floor area of some 122 thousand sq. m., together with all infrastructure works supporting the project. 26 June, 2016 Ashtrom Group signed an agreement with Gindi Holdings under which Ashtrom will be the contractor for the construction of 320 housing units in Kfar Yona, totaling 200 million NIS. ASHTROM GROUP SUCCESSFULLY COMPLETES THE RAISING OF ABOUT NIS 205 MILLION FOR A BONDS ISSUE, OVER-SUBSCRIBED BY NIS 430 MILLION. 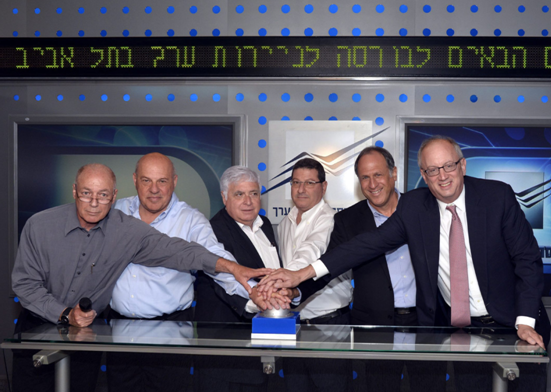 22 February, 2016 Ashtrom Group has successfully completed a bond offering by expanding the existing shekel denominated bond, raising NIS 205 million at an interest of 4.4%. S&P Maalot rates the bonds A stable. The bond offering was over-subscribed by NIS 430 million at the institutional stage. 28 January, 2016 The Ashtrom Group has won the important tender for long-term rentals in the Gadna Complex in Southern Tel Aviv. 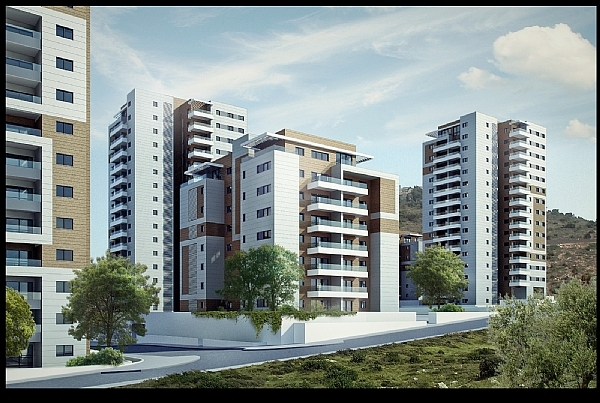 Under the terms of the tender Ashtrom is to construct 350 residential units in 15-storey buildings. All of the apartments are for long-term rentals for a period of 20 years, after which the company will be free to sell them on the open market. A quarter of the homes built will be let to eligible tenants at a subsidized rent of 80% of the open market rental level. The cost of the project is estimated at about NIS 430 million. 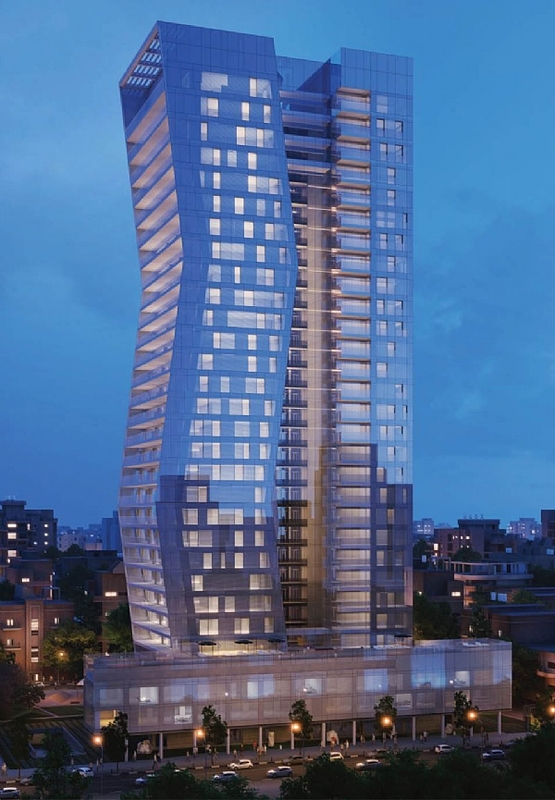 21 May, 2015 The Ashtrom Group together with a partner is to build Dan Tower, a 29-floor high rise luxury residential project on the corner of Arlozorov St. and Ben Yehuda St. in Tel Aviv; the revenues from this scheme total about NIS 244 million (Ashtrom’s share—50%). 29 March, 2015 The Ashtrom Group has signed a contract with Gindi Holdings Ltd., naming Ashtrom as the contractor undertaking a construction project of 860 residential units in Karmei Gat to a value of about NIS 500 million. The Ashtrom Group is to erect 20 buildings, each of which will be 9 storeys high and contain 43 apartments. 12 January, 2015 Ashtrom, through one of its subsidiaries, has won a contract to build 348 residential units in Haifa, 164 of which are for immediate sale, the remaining 184 units being for long-term rental on a 20-year lease.